At RHR, we help families and business owners live more comfortable and healthy lives. From furnace maintenance to the installation of in-floor heating systems, our mechanical technicians are fully trained to help you with any heating or cooling project. Because we are dedicated to providing you with only the safest and most reliable products.. In addition to our standard product offerings, we can also recommend, install and maintain heating and cooling equipment designed to offer relief to allergy sufferers and create a better environment for those concerned with air quality. Our team is up-to-date on the latest technological advancements in safety and efficiency. Because gas and electricity can be very expensive, we offer an Energy Savings Plan that helps your furnace and air conditioner run more efficiently, saving you money on utility bills. 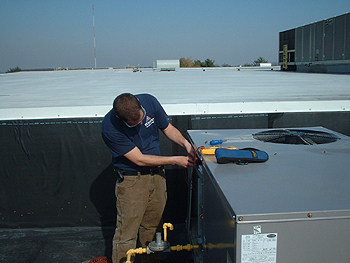 We also offer a complete line of commercial maintenance and construction services.